High Glossy Lamination Pouch Film is suitable to photo lamination, makes photo clear and glossy. 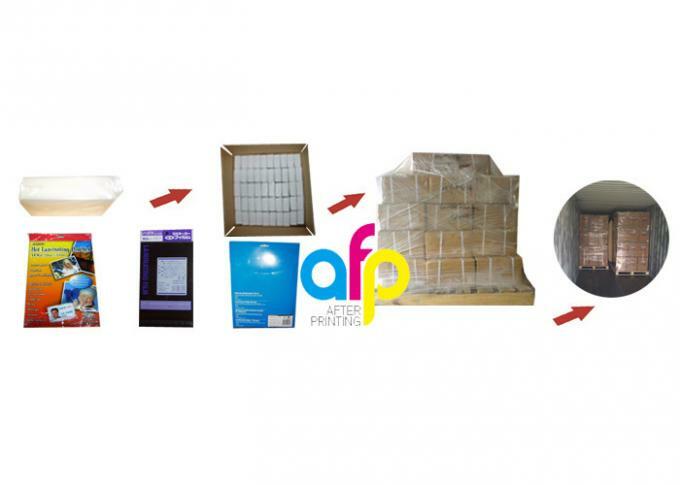 175micron is the most popular thickness in photo firm, since the price is in middle level. It helps clients save cost, also bring its value to protect photo from demage. 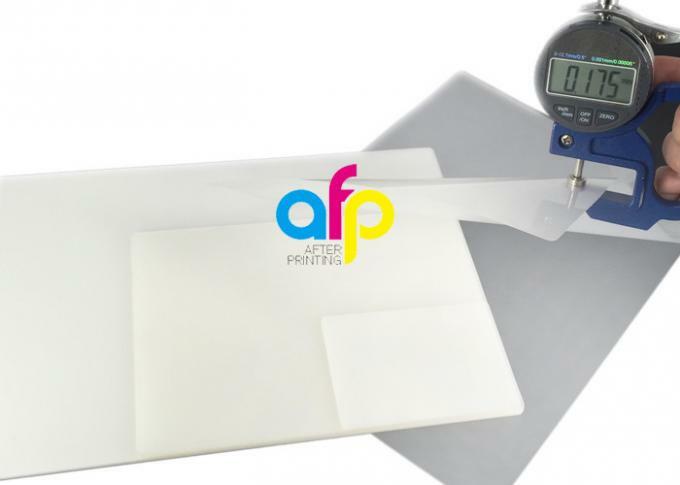 PET Pouch Lamination Film is used for making simple and smaller laminates. 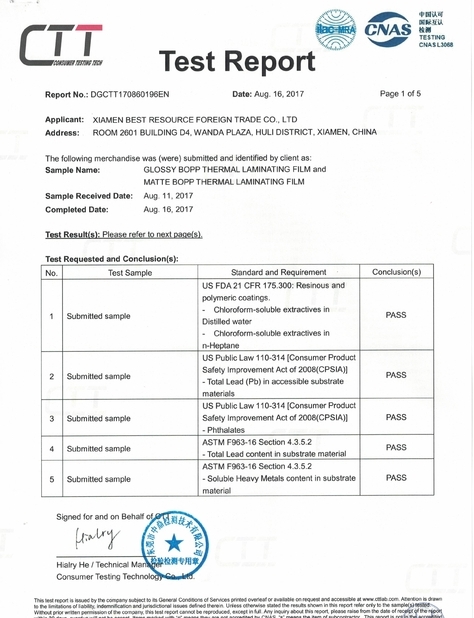 What is PET Heat Pouch Lamination Film? 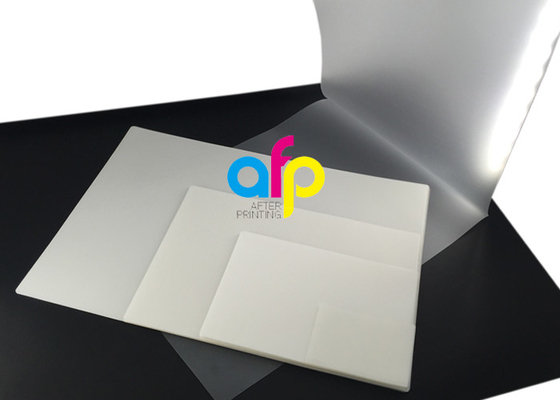 PET Heat Pouch lamination film is a pre-laminated material used as protective layer for paper material or photos. 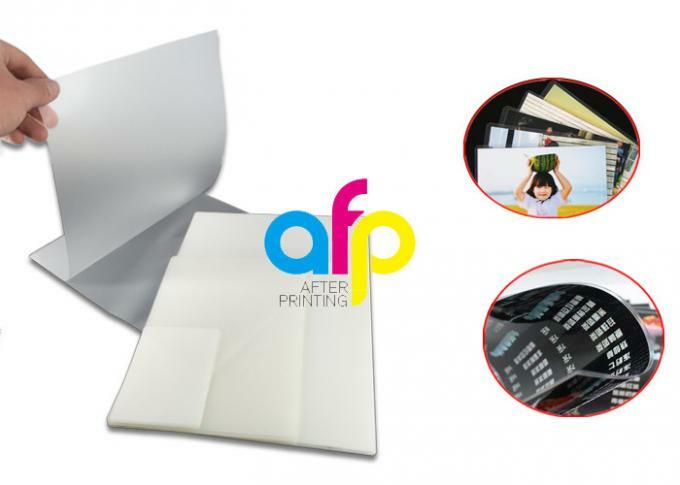 It is polyester film coated with hot melt EVA adhesion in advance and hot melt onto paper material when laminating. 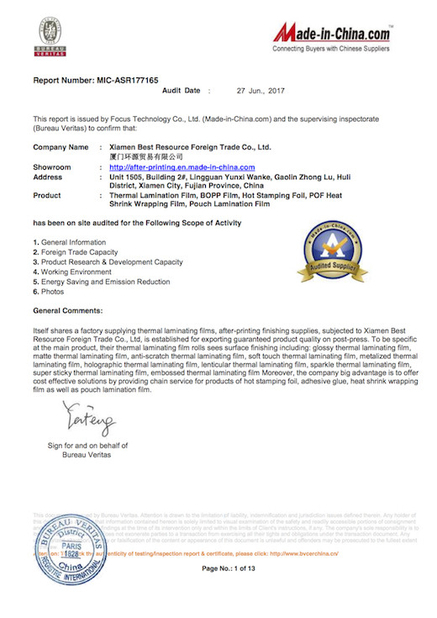 Send us an inquiry to get update Heat Pouch Lamination Film price and free sample for test.